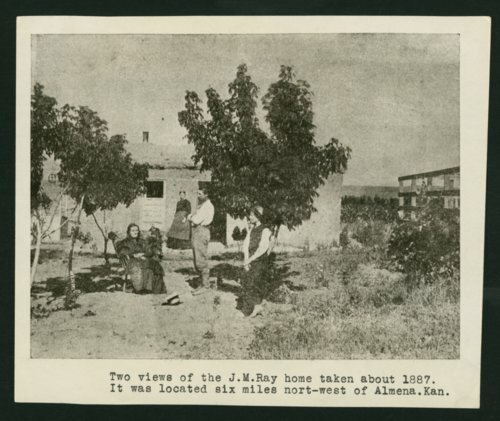 These two images show a group of people, possibly family members, standing in front of J.M. Ray's sod house located about six miles northwest of Almena, Kansas. The use of sod was common on the Great Plains for homes and schools due to the lack of wood and other natural resources available.